It might only be the first day of fall, but the National Park Service on Thursday announced plans for its 94th annual Christmas Tree Lighting celebration. Chance the Rapper, Kelly Clarkson and gospel singer Yolanda Adams will perform at the holiday party on the White House Ellipse on Dec. 1. Free tickets will be awarded through an online lottery, which opens at 10 a.m. on Oct. 7. The lottery closes at 10 a.m. on Oct. 10 Winners will be notified on Oct. 27. 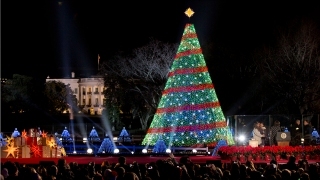 To enter the lottery, visit the National Christmas Tree Lighting website. If you can’t get tickets to the show, the Hallmark Channel will broadcast the lighting on Dec. 2.